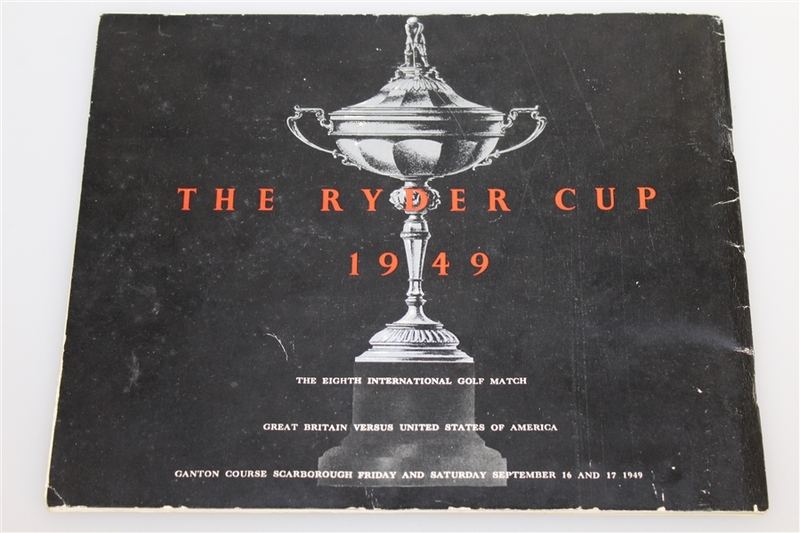 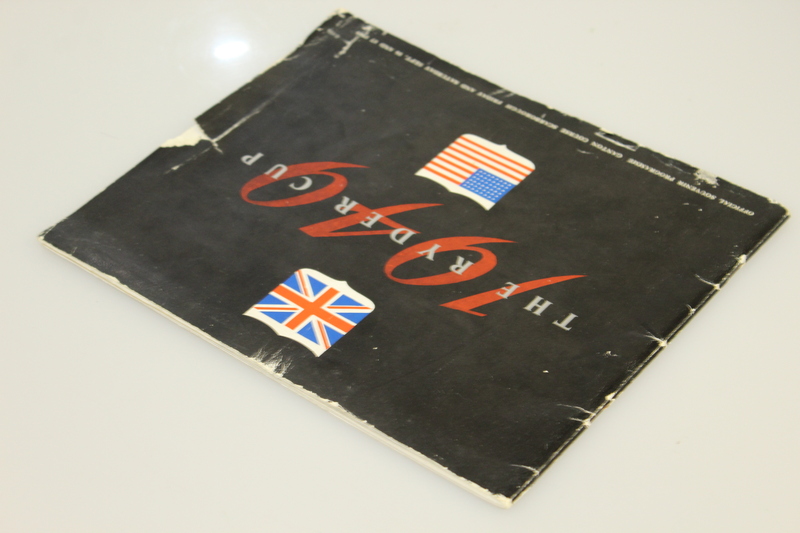 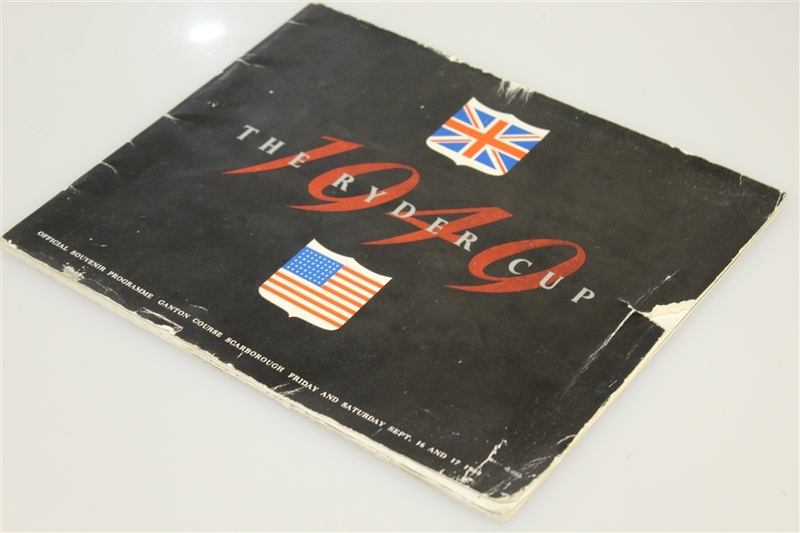 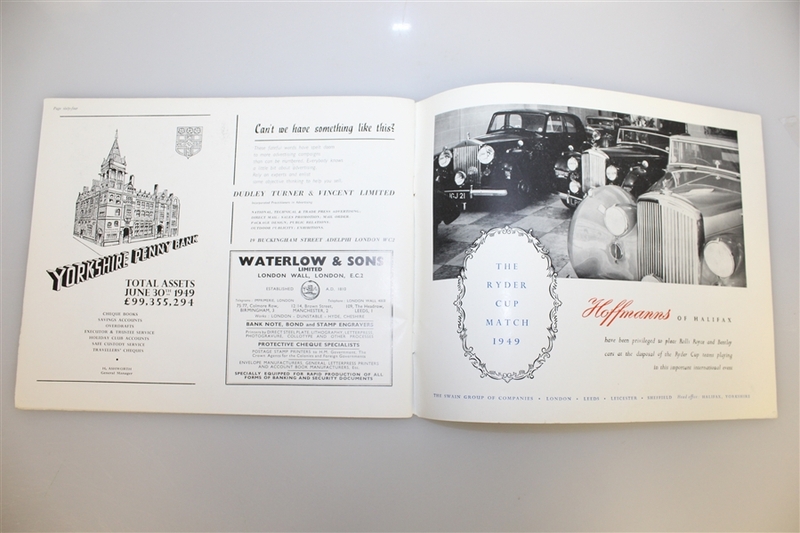 Here we have a program from the 1949 Ryder Cup matches at Ganton Golf Club. The cover shows wear, with a piece torn from the right side and creasing to both covers and the spine. Over the history of the Ryder Cup matches (dating to 1927), no Captain other then Ben Hogan has been undefeated while serving as team Captain in three or more matches. 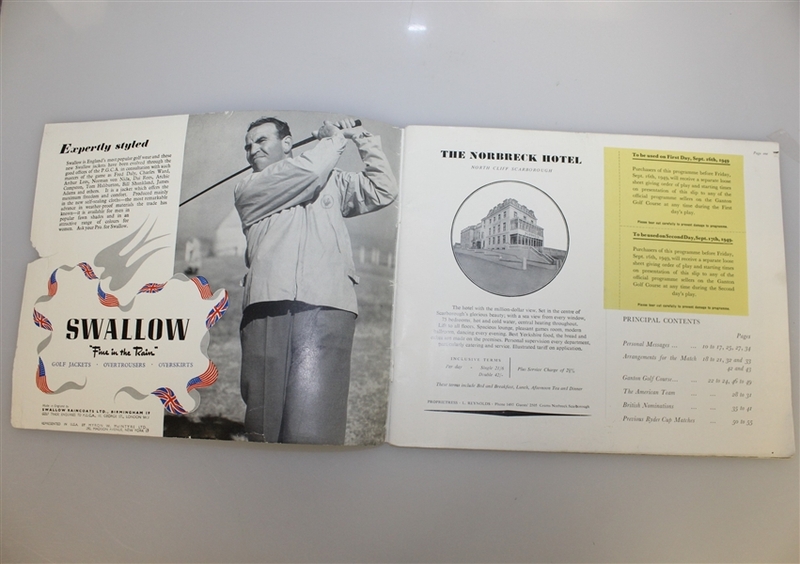 Hogan's (3-0) victorious service to the United States squads came in the 1947, 1949, & 1967 events. 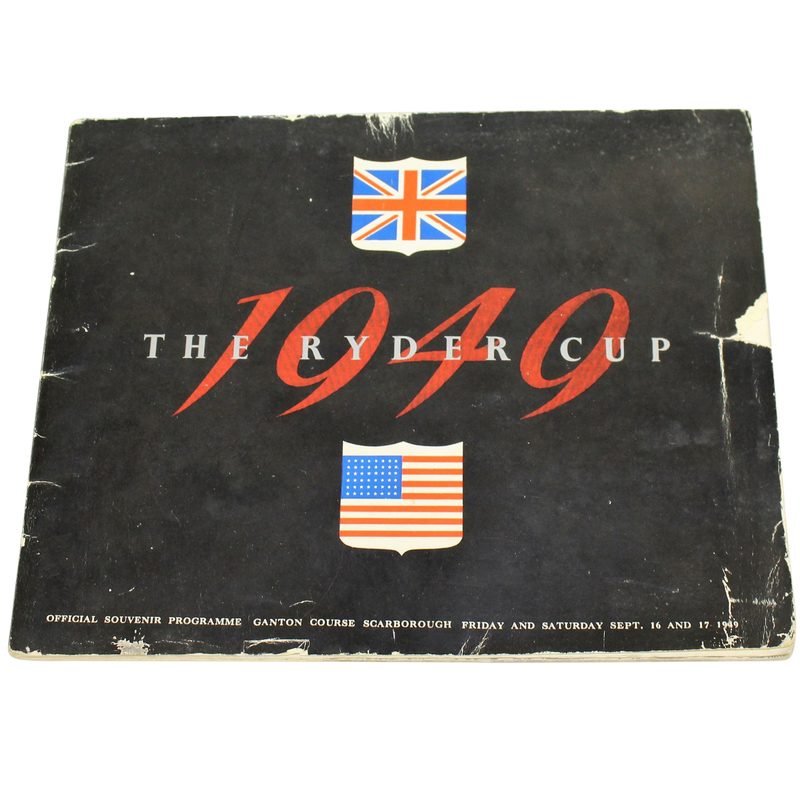 The closest of these matches came in 1949 when the US squad had to rally with wins from Clayton Heafner, Chick Harbert, Jimmy Demaret and Lloyd Mangrum in the final four singles matches to secure the win for Captain Hogan at 7 to 5.